The contact page is one of the most underrated pages on your website. Essentially, your contact page is the start of your moolah making process. You’ve attracted an audience with your blog, now they want to get in touch and exchange dollars for your products or services. So you need to pay it appropriate homage and put some effort into it. 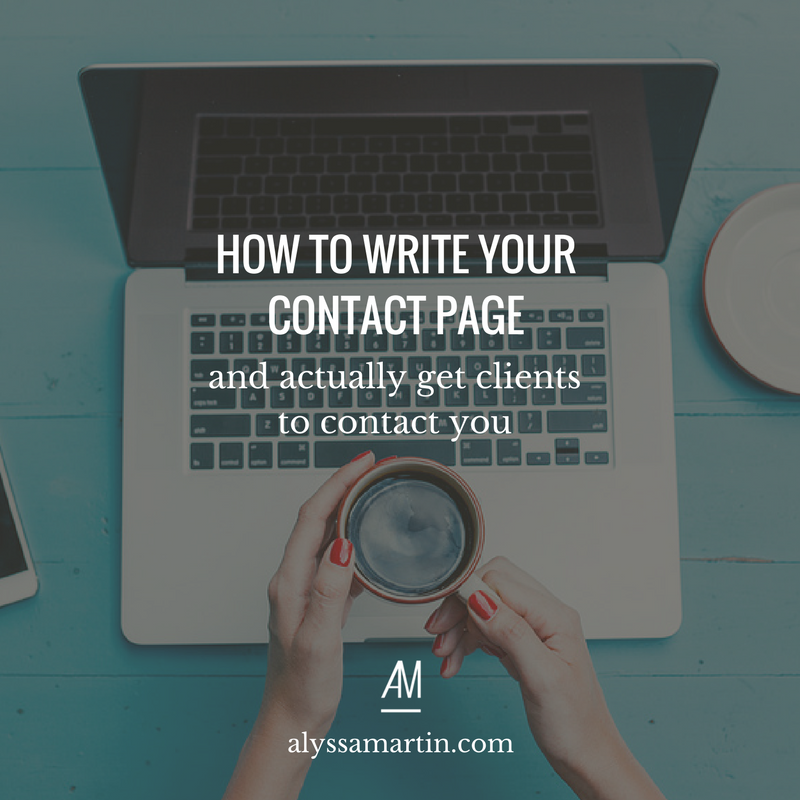 The key message that you’re trying to get across on your contact page is that you’re easy to contact and worth contacting. Few people will be enticed to contact you if you just plonk a contact form directly on the page. Say hello to them, show your personality. Add a friendly introductory blurb. Include a call to action. Good copywriting is all about getting your potential clients to take action – in this case, contact you. So, if you’re looking for more collaborative projects, say so. If you want to hear your readers’ ideas for future blog posts, tell them. No one will know what you want them to do with your contact form if you don’t let them know. For those of you who get lots of the same requests for information that’s already provided on your site, then this is a good opportunity to provide a link to it. You might want to link to your site credits, FAQs page or your Process page if you get a lot of questions about what materials you use in your products, how you make your wares or who designed your website. It will reduce the number of time-wasting emails that sit in your inbox and will improve the usability of your site. Only use photos if they add value – evoke an emotion, build a connection, flaunt your shopfront. Some folks don’t trust contact forms. Some folks want to talk to you on the phone, or just rock up to your shop. Make it easy for these people to contact you in ways that don’t include your contact form. Think: phone number, email address, store location, Skype details. Give them multiple ways to contact you. Your contact form is a must have. Potential clients don’t need to open a new window to write their email to you, they can just tap it out on the page. But you can add others. Be creative, be different. If you’re trying to assess if you’d enjoy working with someone, maybe you’ll ask a question about their favourite type of fabric or how many times they’ve changed their hair style. What will help you figure out if you’ll enjoy this person’s company? Ask that. The people that are willing to take the time to contact you are also the people that are most likely to follow you on social media. Make it easy for them. Toss them some links. Car parking or public transport information. To make things even easier for you, I’ve created a few templates for you. Feel free to copy and paste them directly onto your Contact Page – or shake them up so they show your personality. Anything goes. Want to brand your business? Need a new website? Just want to say hello? Fill out the form below or send an email to [address] and we can chat! Or, go here [insert links] to find information on my work, my process and web design advice. I personally read and respond to everything that comes into my inbox. I promise to get back to you within 48 hours. I’m so excited to hear from you. We’d love to hear from you. We’re open from 9am – 5pm everyday, including weekends – that’s how much we love what we do. Email us at [email address]. We always respond within 5 working days. if you don’t hear from us by then, something has gone awry, so please get back in touch. We don’t want you to feel unloved or unacknowledged. I can’t just design / paint / sew / bake / craft / work [insert whatever it is that you do] all day. I need human connection. So send me your questions, remarks, or a snapshot of your new painting hanging in your home / you rugged up in your new hand-knitted scarf / your friends celebrating with [whatever product you make]. Or, you can always find me loitering on [insert your social media links]. Ta da! That’s the essence of a rock solid Contact Page.